A home staging budget should be planned out and prepared for long before a property is placed on the market for sale. Typically, a recommended budget of 1% of the total home value, or list price, should be used to stage any piece of real estate. Personally, I find this recommendation to be only a broad guideline, since every property is unique and may require a larger monetary commitment or a smaller financial investment to get the house ready to be sold fast and for top dollar. This dialog centers on budgeting money for real estate home staging and details the total expenditure that may be needed to properly enhance any house when it is being placed for sale. Many home owners avoid staging their property in an attempt to save some of their hard-earned cash. This is typically a huge mistake, since staging strategies are well known and statistically proven to get a house sold faster and for more money than an unstaged property. Remember that every day your house remains unsold; it also remains a financial burden to you in the form of maintenance, taxes, utilities and more. I have seen many sellers think they were ahead of the game by listing their properties for sale without any form of staging, and then regret their haste when the house sits untouched on the market for months. What adds insult to injury is when the staged competition homes all sell for good prices. These homeowners usually wind up reconsidering their snap decisions and eventually stage their houses to sell. Without exception, they all comment how they should have just done the work to begin with. Justifying the cost of home staging is simple and logical. First off, there is no risk, since the cost is completely tax deductible. Next, statistics show that staging makes a huge difference in how fast houses sell. 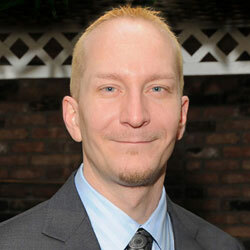 In fact, staged properties close 2 to 2.5 times faster than unstaged competitors. Best of all, staging designs bring in better offers on the home; up to 17% higher sales prices are not unheard of, but even a 5% higher price yields tremendous extra profits. Extra profit: $18,000 plus a $2,000 tax deduction. Extra profit: $45,000 plus a $5,000 tax deduction. After reading this article, I am sure that I do not have to say anything more to convince you to stage your home prior to sale. It just makes sense. 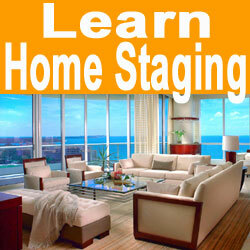 Home staging is known as the most effective marketing tool in the entire real estate industry. It sells properties far more efficiently than print ads, open houses, video tours or any other commonly offered service. To neglect staging is like making a concerted effort to avoid selling your home. To learn more about home staging and the many benefits the service offers home sellers, contact a qualified staging professional or write to me for some personal advice.